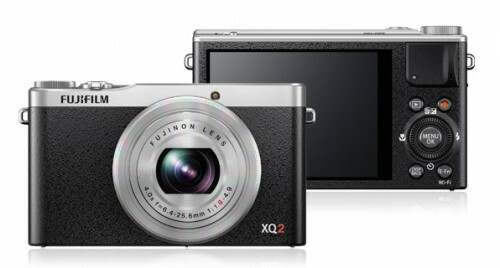 A camera that packs X Series perfection into a deceptively small body. Portable enough to carry in your pocket or handbag at all times. Quality synonymous with Fujifilm’s X Series with its exceptional Fujinon lens, new Film Simulation modes, tactile control ring, brilliant image quality, fast, responsive performance and comfortable handling. 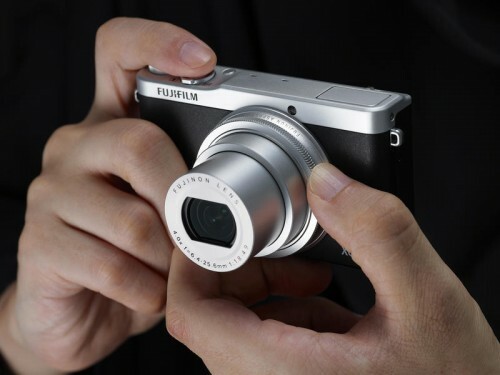 Streamlined to perfection, the FUJIFILM XQ2 is a camera that packs class-leading technology into the lightest, most compact body. With 80 years of expertise in film development, Fujifilm is passionate about color, and the result can be clearly seen in the FUJIFILM XQ2’s evolved Film Simulation settings. Allowing you to create brilliant images without the need for lengthy post-production, users can switch between beautiful styles just as easily as choosing a roll of film. The expanded range of modes now includes CLASSIC CHROME, which was developed to meet the demands of Fujifilm X-Photographers worldwide. 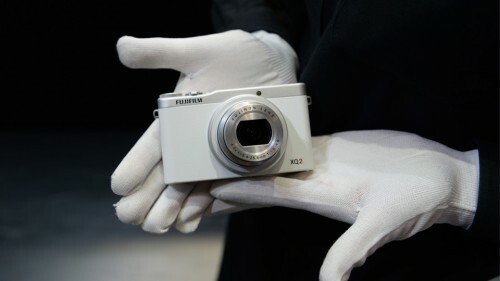 The FUJIFILM XQ2’s high-speed AF system uses phase-detection pixels integrated into the sensor, achieving the world’s fastest AF speed of 0.06 seconds. The new Multi-Target “Multi AF” mode automatically selects up to 9 focus areas and, combined with face-detection functions, enhances precision and speed for the ultimate in focusing accuracy. 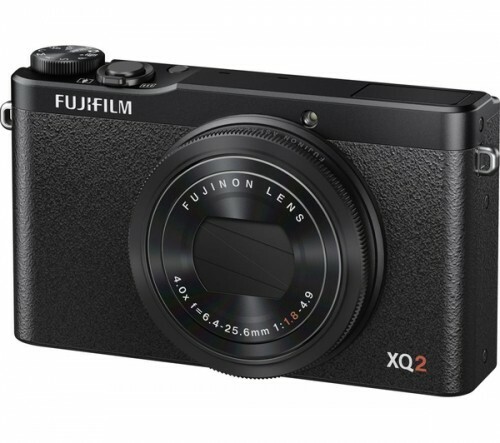 Fujinon’s technologies, generally used on professional broadcast cameras, have been applied to a lens that’s optimized for the FUJIFILM XQ2’s 2/3-inch sensor. The lens, with a maximum aperture of F1.8 is sharp throughout its 4x zoom range, and has a minimum working distance of just 3cm for beautiful macro photography. With 3.0-stop optical image stabilization, sharper images can be achieved in low-light. 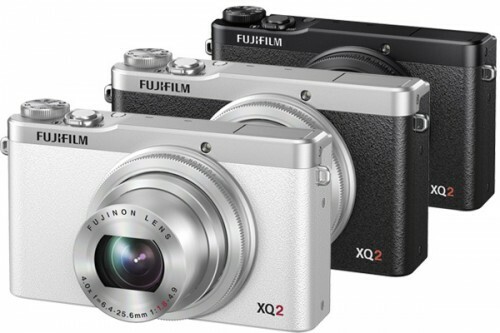 The FUJIFILM XQ2 uses a 2/3-inch sensor, much larger than the 1/2.3-inch or 1/1.7-inch sensors typically found in compact cameras, and it has the same advanced design as the X-Trans CMOS II sensor used in the latest X Series models. This design has been optimized for the new 2/3-inch sensor size and achieves very high image quality that’s the equivalent of larger sensors. The camera can transfer images to smartphones and tablets without having to set up an ID and password. 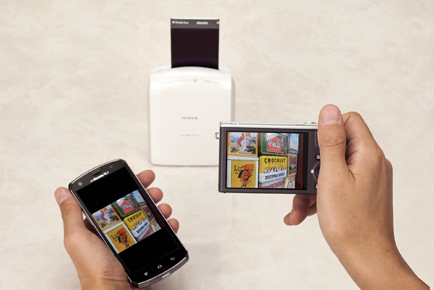 Use the instax SHARE Smartphone printer (SHARE SP1 – sold separately) for direct image printout. 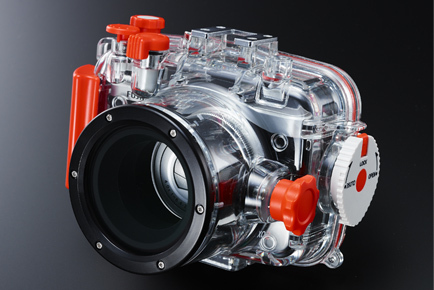 Attaching the WP-XQ1 enables you to take pictures underwater at a depth of up to 40m. This case lets you enjoy the FUJIFILM XQ2 underwater while retaining its ease-of-use as well as its ability to reproduce colors vividly.